In his deceitful response to the Friday incident, whereby Abu Usaamah came to the wrong masjid (in order to give khutbah) before being ushered out; he put forward an absurd complaint about the fatwa from Shaykh Ahmad an Najmi (rahimahullah) against him, which has been quoted since the incident. 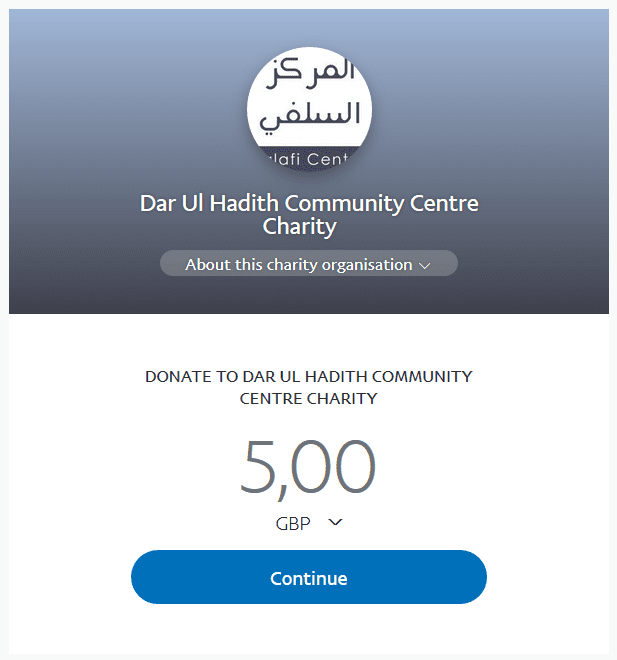 In his usual manner, Abu Usaamah did not quote the full question asked in his youtube published video response; a crime he has committed previously and still not repented from. It is clear that cutting, pasting, twisting and hiding, is habitual for this individual, as anyone with the least bit of experience of his past capers, clearly can attest to. He did the same with regards to Shaikh Rabee’ al Madhkhali and with regards to Ustaadh Abu Khadeejah1. To the average listener who does not know, this seems a generalised question, about any person in America (who may support Abul Hasan). 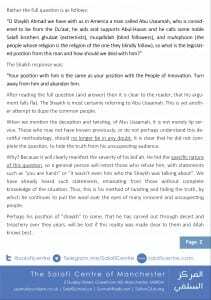 And so the cries will come “how can this be applied to Abu Usaamah!”- Well then let us be completely clear… This is not the full question the Shaykh was asked. Once again here we have a classic example of his cutting, pasting and selectively exposing his listeners to only a part of the fatwa; most likely due to the incriminating position he would have put himself in, had he quoted it in its entirety. After reading the full question (and answer) then it is clear to the reader, that his argument falls flat. The Shaykh is most certainly referring to Abu Usaamah. This is yet another attempt to dupe the common people. When we mention the deception and twisting, of Abu Usaamah, it is not merely lip service. Those who may not have known previously, or do not perhaps understand this deceitful methodology, should no longer be in any doubt. It is clear that he did not complete the question, to hide the truth from his unsuspecting audience. Why? Because it will clearly manifest the severity of his bid’ah. He hid the specific nature of this question, so a general person will retort those who refute him, with statements such as “you are harsh” or “it wasn’t even him who the Shaykh was talking about”. We have already heard such statements, emanating from those without complete knowledge of the situation. Thus, this is his method of twisting and hiding the truth, by which he continues to pull the wool over the eyes of many innocent and unsuspecting people. Perhaps his position of “shaykh” to some, that he has carved out through deceit and treachery over they years, will be lost if this reality was made clear to them and Allah knows best. Playing the victim (yet again) he complained that the Salafis are always quoting this fatwa of Shaikh Ahmad (rahimahullaah) against him, in order to keep reminding the people; and he brands those that listen as “sheep”. Unfortunately for him, his opinion is in opposition to reality. 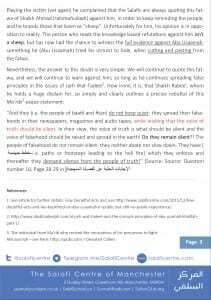 The person who reads the knowledge based refutations against him isn’t a sheep; but has now had the chance to witness the full evidence against Abu Usaamah; something he (Abu Usaamah) tried his utmost to hide, when cutting and pasting from the fatwa.